Prior to writing Temporal Authority, Luther had rejected the Roman construction of the dichotomous application of the ethical, such as the imperative of the Sermon on the Mount, to commands and counsels, as well as rejecting the view that the Church was the source of a worldly authority. Once Luther had rejected the Roman interpretation, he found it necessary to construct a system in which he could balance seemingly competing Biblical claims. On the one hand, his doctrine needed to consider Paul’s command in Romans to be subject to ruling authorities. On the other hand, his doctrine needed to make sense of Jesus’ exhortation in the Sermon on the Mount to be peacemakers and not fear persecution for the general Christian life. Regarding especially those Christians who were in positions of temporal authority, Luther’s doctrine needed to consider both Jesus’ commands to not murder and Paul’s confirming an authority’s divine right to wield the sword. Of particular importance for Luther was the acceptable use of the sword, as he opposed the contention that Paul and Christ offer suggestions and not commands for the Christian when they said or wrote such things as, “Beloved, never avenge yourselves, but leave it to the wrath of God, for it is written, ‘Vengeance is mine, I will repay, says the Lord’” and “Do not resist the one who is evil. But if anyone slaps you on the right cheek, turn to him the other also. And if anyone would sue you and take your tunic, let him have your cloak as well.” Luther, critiquing apparent misconceptions from To the Christian Nobility of the German Nation, argues that rulers cannot govern as tyrants, though “they actually think they can do – and order their subjects to do – whatever they please. And the subjects make the mistake of believing that they, in turn, are bound to obey their rulers in everything.” Thus Luther, insofar as he could resist with words, chose to resist those Catholic lords and authorities who had suppressed the Christian faith, denied the divine word, and blasphemed the Divine Majesty. At this point, we note Luther’s critique of tyrannical rulers, that when they rule by tyranny their subjects are no longer bound to entirely obey them, and may resist at least with words. In addition to seeking to explain the acceptable understanding of the Christian’s relationship to the sword, Luther argued for a balanced understanding of temporal and church authority within their divinely instituted realms. Before considering Luther’s positions in Temporal Authority, we must first note there have been a number of questions raised concerning the implications of Luther’s terminology within this treatise. A number of scholars have written at great length concerning the meaning and implications of Luther’s apparent dichotomy between the kingdom of God and the kingdom of the world. 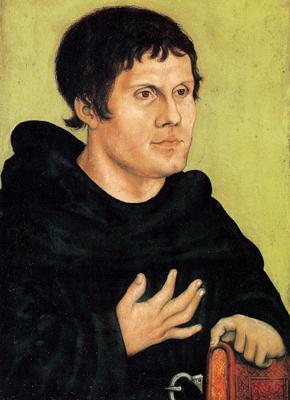 Paul Althaus wrote that the spiritual and secular kingdoms for Luther operate in different spheres of influence and power, with the spiritual kingdom consisting of the invisible work of Christ through His church, Christianity lived out in true Christian freedom, the gift of grace, and forgiveness of sins. 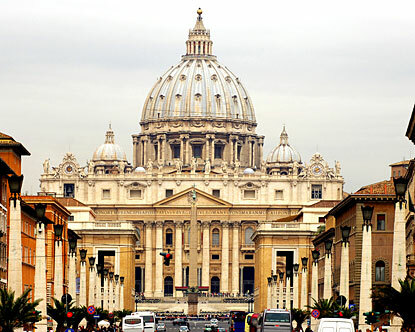 Conversely the “secular government includes much more than political authorities and governments; it includes everything that contributes to the preservations of this earthly life, especially marriage and family, the entire household, as well as property, business, and all the stations and vocations which God has instituted.” Althaus notes that Christ concerns himself with the spiritual kingdom and does not participate in the secular kingdom and that for Luther’s construction, the “secular government existed long before Christ and also exercised power without him. This indicates that secular government and Christ’s kingdom are two distinct entities and that Christ is not directly involved in secular government.” This understanding would seem to explain the historical record of Lutherans not being actively opposed to temporal rulers, as understanding Luther’s construction in this manner would seem to oppose religious interaction with the distinct realm of the temporal. Luther rejected this distinction chiefly because of the different ‘classes’ of Christian that it created, as some (Luther seems to imply monks and nuns here) Christians were bound to obey all the ethical commands of Christ, while other imperatives are mere counsels, suggestions that not-so-holy Christians should seek to live by. Martin Luther. “Temporal Authority: To What Extent it Should be Obeyed.” Vol. 45. In Luther’s Works: The Christian in Society II, Walther I. Brandt and Helmut T. Lehmann, Philadelphia: Fortress Press, 1962. 80. Romans 12:19, English Standard Version. Matthew 5:39-40, English Standard Version. Martin Luther. “Temporal Authority: To What Extent it Should be Obeyed.” Vol. 45. In Luther’s Works: The Christian in Society II, Walther I. Brandt and Helmut T. Lehmann, Philadelphia: Fortress Press, 1962. 83. Ibid., 84-5; Footnote 13. Paul Althaus. The Ethics of Martin Luther. Trans. Robert C. Shultz. Philadelphia: Fortress Press, 1972. 46. Ibid., 47. Ibid., 46. Ibid., 48. Good question–and I don’t think I address it later in this series. In my understanding, Luther resisted for a time the organization of a distinct (“evangelical”) church, but post-Augsburg he increasingly participated in ecclesiastical organization. Once this shift occurred, Luther seems to have relied on a variety of ecclesial resources–Biblical and political. On ecclesiastical matters, I think that narrative is generally correct, though 1) over a shorter period of time and 2) Luther was involved in political matters as well as theological issues pretty early on.